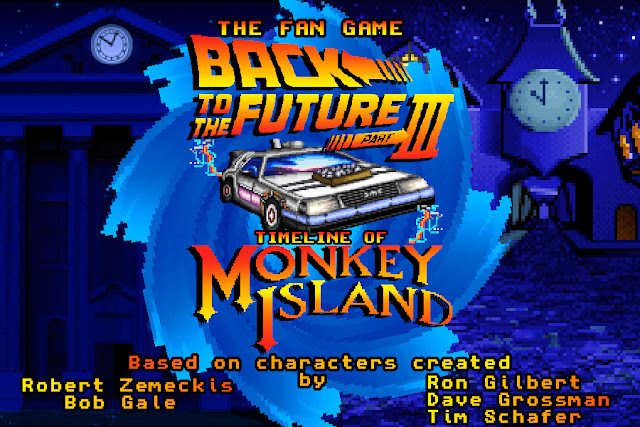 Indie Retro News: Back to the Future Part III: Timeline of Monkey Island - Adventure fan game gets a super release! 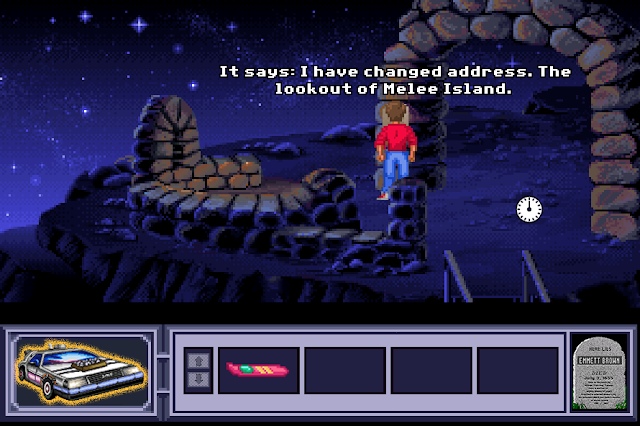 Back to the Future Part III: Timeline of Monkey Island - Adventure fan game gets a super release! 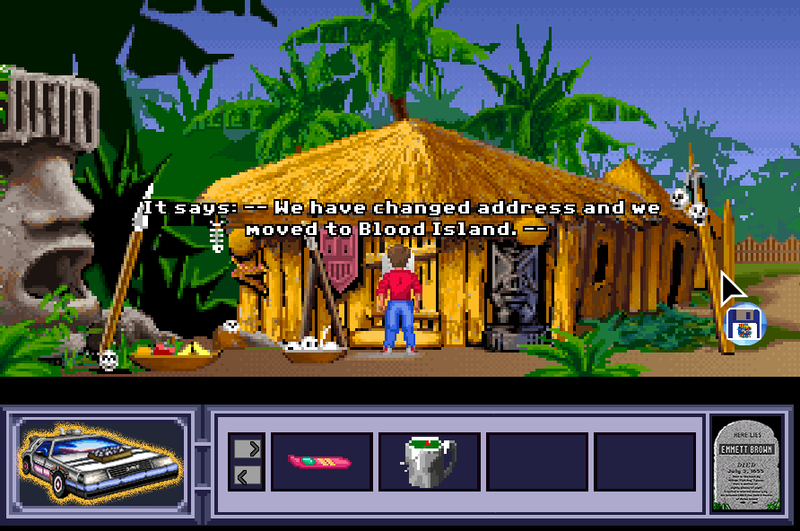 It wasn't long ago now that we gave much excitement to the retro community that a game was coming which blended The Secret of Monkey Island and Back to the Future as an adventure game with glorious inspirations. Well there's incredible news today as after previously announcing a small demo tease which many of you have played, the developer Daniele Spadoni has announced the release of the full version which means everyone can download and play the most eagerly awaited of adventure games containing some very famous characters! Deep in the Caribbean among stinking pirates, insults, and sword fighting, Marty and Doc go back one more time for their greatest adventure of all. Doc is living in the past, but he's about to be history because the timeline has changed! Marty makes a name for himself. Doc meets his mate, and Tannen meets his Duel. Daniele Spadoni invites you play a timeline never seen before, an adventure that will have no end. 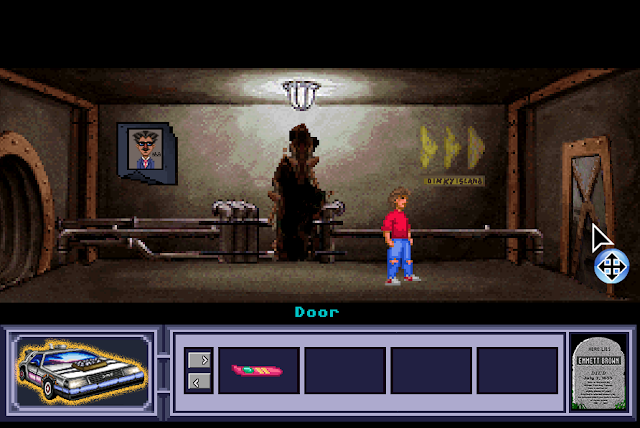 As we've said before I've been waiting for this release ever since I heard about it on Facebook and was hoping the game would be coming to the Amiga but sadly it hasn't, although there are Amiga references throughout the game such as many of the characters seen on the Amiga and yes even the classic MS-DOS version. But don't let that put you off, as from everything we've come across so far, this Adventure fan game could be the highlight of the year and a wicked nostaltic trip to many of the greatest years of our retro gaming youth.